Zoe's mittens--in process. 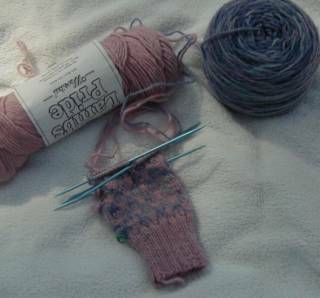 Pattern is Chipman's Block Mittens (from "Fox and Geese and Fences" by Robin Hansen). Multicolored yarn is hand-dyed by Little Turtle Knits.